This Interdisciplinary Fisheries Seminars programme will allow different research groups working on fisheries to have a fruitful exchange in order to learn from others how common question are being solved from diverse perspectives such as economics, ecology and management. All students and researchers interested in the field are welcomed, both from the University and abroad, are encouraged to participate and present their work. This seminar series is organized by Future Oceans Lab and ERENEA research groups under the support of ECOBAS and CAMPUS DO MAR and will take place in the Faculty of Economics once a month. Dates, time and location will be announced in advance by different platforms such as our mailing list and CAMPUS DO MAR, ECOBAS and FOL webs. Presentations will last 30 minutes with 15-20 minutes for discussion. Speakers are encouraged to communicate research findings considering a diverse audience, and attendants are encouraged to actively participate. One of the main goals of this seminar series is to provide a platform for students of Master’s and PhD programmes to present their work to the student and researcher community in order to improve their ongoing work. 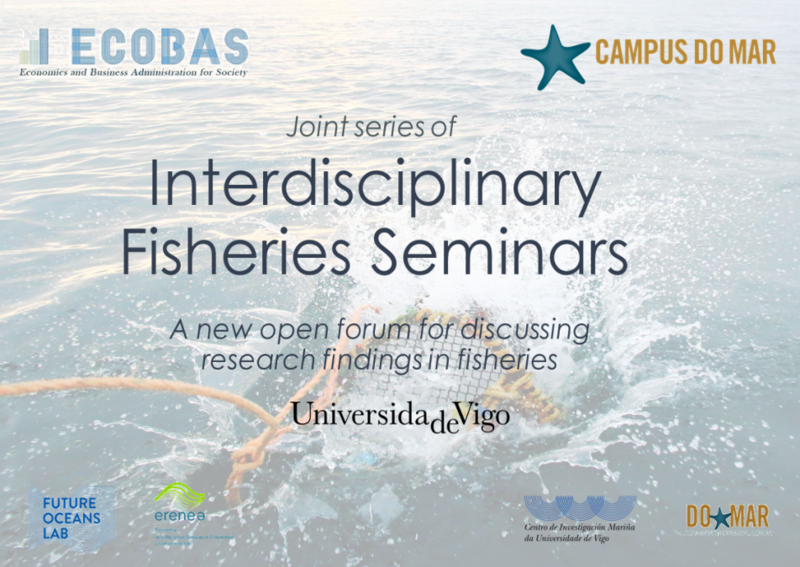 To receive more information about the programme, you can subscribe to our mailing list: https://listas.uvigo.es/mailman/listinfo/interdisciplinary_fisheries_seminar.